Solar FAQ – Medford's Go Green Initiative! Check out the questions below for more information about solar for your home or business. If you are wondering about affording solar, be sure to read our Solar Incentives & Financing page. If you want to know about the past Solarize Medford program, check out What was Solarize Medford? If your question isn’t answered here, feel free to email us at enviro@medford.org. Whether you decide to choose solar or not, we also recommend that you check out Easy & Quick Energy Saving Tricks for more help ‘greening’ your home. I am interested in solar. Where do I start? The size of your system ultimately depends on how much electricity you use, and on your roof. The company will do an assessment and look at different aspects of your site, including roof orientation, strength and shading. The size of the proposed system will depend on these factors, as well as finances. How long does it take to do the actual installation? Depending on the size and complexity of your system, a typical solar panel installation can take anywhere from 1-3 days. What if the professionals say my roof is unfit for solar? If this is the case, you can still achieve significant energy savings by checking out our Go Green Residential page and Easy & Quick Energy Saving Tricks post and making the improvements recommended. Energy efficiency improvements often have a higher rate of return than the stock market! My roof has obstacles, for example: skylights, chimneys, vents, etc. Can I still consider a solar array? Yes. Many installers are experienced with these obstacles and may be able to work around them. A professional will be able to tell you if it is possible. 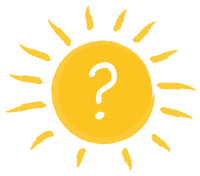 What specifications does my roof need to qualify for solar? The ideal roof slopes towards the south, because southern exposure will maximize the efficiency of your panels. However, if your roof is more east or west facing, you can still get strong results. If you have a flat roof, they can also arrange your panels to maximize efficiency. Minimal shading is also a good qualifier for a solar array. However, system designs using micro-inverters are used to work around shade. You are probably unsure if your roof is suitable for solar, and the best way to figure it out is to sign up for a site evaluation with a local company. What happens if my panels are covered in snow? Solar panels will not produce electricity when covered in snow. However, they have a tempered glass surface and dark color, so snow is quick to melt off them once the sun returns. This means that over the course of a year snow cover has an extremely small effect on overall production. No. Solar electric systems are extremely rugged. They have no moving parts to wear out over time. Many solar installations have been producing energy for over thirty years, and today almost all solar panels come with a 25 year warranty. Today’s panels are designed to withstand lightning strikes, hail storms, and 100+ mile-an-hour wind. How much maintenance will my solar panels require? In Massachusetts, basically no maintenance is required—you can let Mother Nature and rainwater do the work. Panels are not harmed by snow, ice, or pollen, and the only place where panels need to be cleaned regularly is in California due to smog. Will solar panels make my home cooler? Solar panels have the ability to make your attic cooler. This is because some of the sun’s energy will be converted to electricity instead of being turned into heat, and because the panels shade your roof—eliminating direct sunlight onto your roof. Do solar panels need to be installed on a roof? In urban and suburban areas solar panels are usually roof mounted, but they can be mounted on the ground. Ground mounts are a great solution where there is available land and your roof is largely shaded. Yes, they are composed primarily of glass and aluminum. On average, do people still have to pay for electricity after solar installation? On average, yes. But the great part is that while offsetting a large majority of their electricity bill, people tend to become far more aware of their energy usage, typically resulting in a lower total energy footprint. When solar is installed in your home, the utility will also install an electric meter. During the day, when your solar electric system generates more power than you use, you send electricity back to the utility, spinning your meter backwards. At night, when you use more electricity than you produce, your meter spins forward again. At the end of the month, your electric bill becomes the net difference between your production and your consumption. It’s a clever way to “bank” electricity without needing bulky, expensive, and environmentally unfriendly battery arrays. If I choose a lease, what happens at the end of my lease agreement? You have three options. One is you can renew the lease, usually in 5 year increments. Second the leasing company will come and take the system off the roof at no charge. Third is that the leasing company will sell you the system at fair market value. Realistically, that value will be low, not because the system is of low value in 20 years, but because it is more cost effective for the leasing company to sell the system to the customer at a dramatically discounted rate than it is for them to come remove it from the roof. I want to go solar, but I am hesitant about the upfront costs. Aside from purchasing, leasing a system is always an option. With leasing, a third-party financing company owns your system and you pay them back on a schedule. The typical solar lease agreement lasts about 20 years. For more information on financing and incentives offered, check out our Solar Incentives & Financing page. What are the main differences between purchasing and leasing a system? For a full explanation of the financing options, see our Solar Incentives & Financing page. Purchasing a system requires a decent upfront payment, however you will recoup almost half of it through tax credits and rebates. Then, through Solar Renewable Energy Credits (SRECs) and your reduced electricity bill, we estimate the return on your investment will be about 5-7 years. On the other hand, with a lease, there is no up-front cost and you will start saving money immediately. The amount that you save is dependent on the size of your system and the amount of electricity that you are using. In the purchasing model, you own the system and receive all of the incentives discussed before (SRECs, tax credits, rebates, etc.). Through a leasing model, the financing company enjoys a majority of the incentives. Because of this, we feel that, if it is a feasible option, purchasing a system is a better investment. Does the federal tax credit apply to second homes? Unfortunately, no. The home must be your main or primary residence to receive the federal tax credit. However, the rebate and SREC incentives do apply, making solar on your second home an attractive option. What will a solar system do for the value of my home? A study published by the Appraisal Institute shows that for every utility bill dollar saved due to an energy improvement, you gain $20 in property value. This basically says that if you were to install a solar system that saves $1,000 per year in utility costs, you can increase your homes value by $20,000. Additionally, the US Department of Energy found that even in soft housing markets, a home with solar will sell in about half the time as one without. Where does the inverter go? If the power grid goes down, what happens to my power and what about automatic standby generators?